Start looking for trevally in the northern harbours from mid March onwards. Their arrival seems to coincide with that of the Royal Spoonbills on the Manukau harbour in the bays that I normally fish. 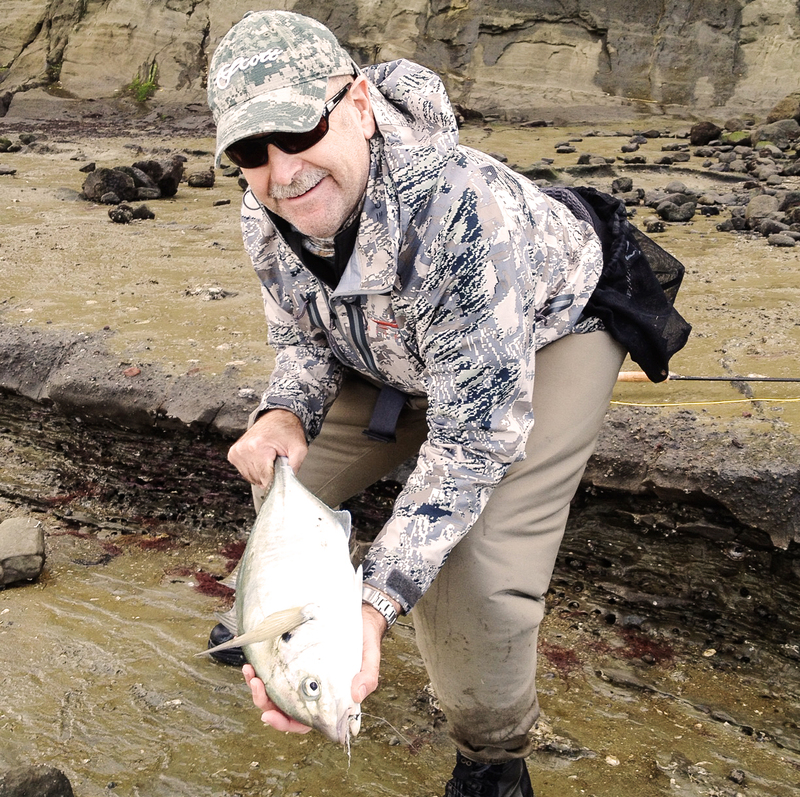 If you modify your approach and set out to target harbour trevally starting in autumn then this is what can happen. “The weekend dawned and I had a busy day planned, but I managed to sneak out for a short session with my work pal Stuart before the whanau had got out of bed and wiped the sleep from their eyes. We rendezvoused at our normal spot around 7.00 am. It was a glorious morning in late autumn. A pleasant breeze gusting 5 knots from the NE, few clouds and the warm sun already evaporating dew off the freshly mown grass on the reserve. Not a soul around. Perfect. There was not much bird noise as we strolled down to the foreshore but I’m picking they had squawked themselves hoarse during the dawn chorus. As the Manukau came into view it looked absolutely idyllic. Still and glassy in the margins with a slight ruffle further out, well away from the shelter of the bush canopy. In the shallows bait fish could be seen flitting about, pockmarking the surface with swirls and splashes. Out on the sandbar in the distance Royal Spoonbills glowed like incandescent light bulbs as the sunlight bounced off their plumage. Stunning. We opted to spread out to maximise our chances. I chose to fish from a point near the deeper part of the channel, Stuart the skinny flats where the bait fish were holding. As I carefully negotiated the silt dusted rock shelves to the spot I’d chosen I was startled from my reverie by the sound of a large predator scything through a bait congregation in the shallows. There was water everywhere. The air above the commotion was filled with tiny shards of bait fish as they jumped to avoid their tormentor. Getting there quickly was out of the question as progress was more by slip and slide than regular footstep. Eventually, after what seemed an eternity, I got close enough to fire off a cast but by now the predator was long gone. 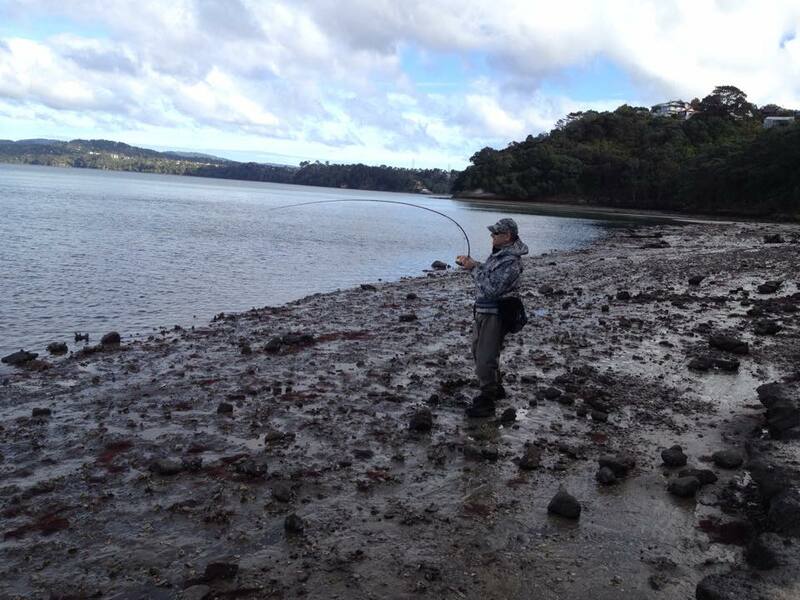 I yelled for Stuart to join me and as he neared I hooked up and landed a 15cm kahawai. Nothing much happen for 15 minutes so I decided to head off to the far end of the bay, a 15 minute walk, as I was sure the predators would surface there next as they followed the tide out. My last words to Stuart were “I’ve a feeling that it will go off here in the next 15 minutes but if it doesn’t head over to me”. As it happened moving downstream was a bad call on two counts. Firstly the wind was stronger and the surface ripple made it hard to see the bait fish and second, which was related, the extra wave activity stirred up the silt and made it hard to see into the water. I fished all of the likely drainage channels blind and even tried covering the far side of the main channel with a soft plastic on my spinning rod but it was tough going. No touches and nothing visible to cast to. Obviously fish are not partial to silt soup. Then I noticed Stuart was mucking around washing his hands in the margins so I called him on my mobile to see what was up. Long story short, he’d just hooked his fourth kahawai and had two 35 cm fish on the bank lined up for lunch. It was a short conversation “Get back here mate it is going off”. By the time I got back the action has slowed, as it inevitably does. I asked Stuart where he’d been hooking the fish on his spoon and “mid water to just above the weed” was the reply. This meant a change of fly as I’d been fishing near the surface with a smelt imitation. 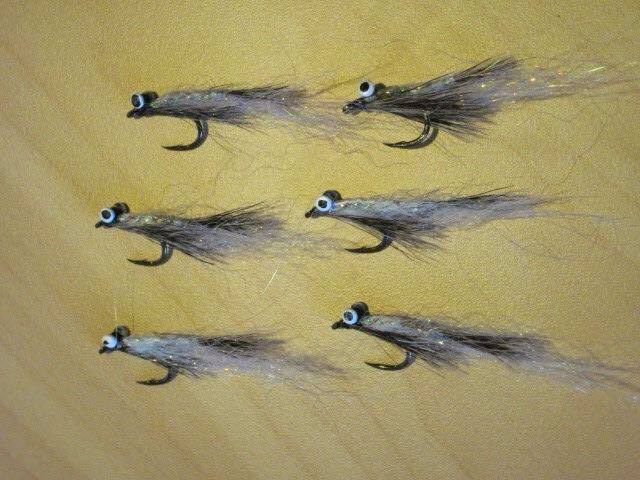 I scanned my fly box and settled on a Brush Ranger as it could be mistaken for a smelt, shrimp or tiny crab. I headed into the shallows and got caught up in about 10 metres of discarded nylon (plus hooks and sinker) so it took a few minutes to collect this and stow it for later disposal. I muttered a dictionary worth of obscenities and finally re-entered the shallows casting out long into the channel. Nothing happened on the first cast so I decided on the next cast to let the fly sink and retrieve it using slow figures of 8. I’d probably got to 64 when I felt a tentative pluck at the fly so I strip struck and came up solid. Then all hell broke loose. Line tore from the stripping tray, through my fingers and out through the guides in a blur as something decent engaged “turbo tail”. It stopped well out in the channel and began shaking its head angrily like a bulldog fighting over a piece of rope. Then it tore off again in another withering burst taking me well into the backing, the Hardy Ultralite squealing with glee. Next it decided to run upstream into the tidal flow and at this point I told Stuart that it was starting to behave like a trevally. By keeping up with it and applying side with the powerful Xantu rod I was able to get the fly line back on the spool and start to gain some control. Just as I thought that the fish turned tail and headed downstream with the tide parallel to the shore. I trotted after it and caught up within 25 metres at which point it spun and headed back into the current to where we’d just come from. I started to get the feeling I was being taken for a morning constitutional. Eventually the runs got shorter and shorter though and after about 10 minutes I was able to slide a 5 lb trevally onto the sand. 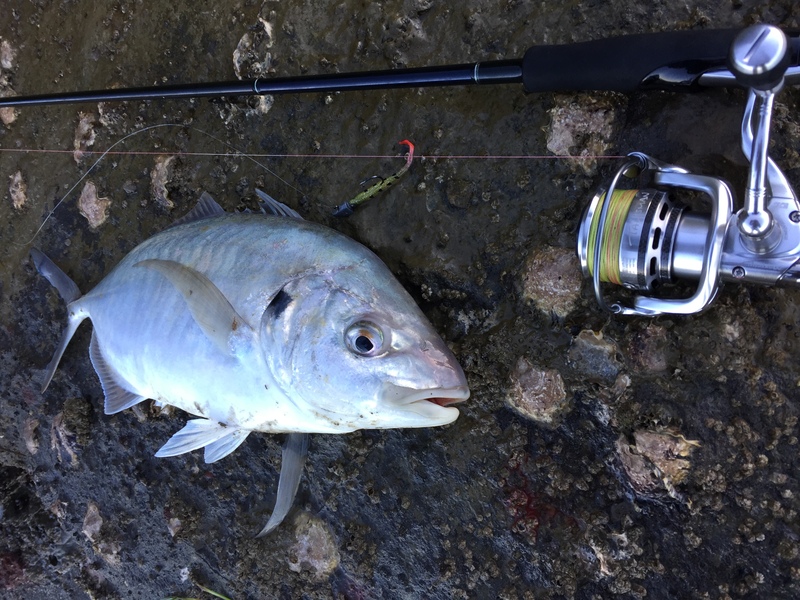 My first Manukau trevally and flats biggest on a fly. Epic. Time had run out now so we both reluctantly packed up and headed home. What a morning! A couple of hours stalking the flats in piscatorial paradise”. When the weather clears and the still, frosty mornings arrive then it should be all on.